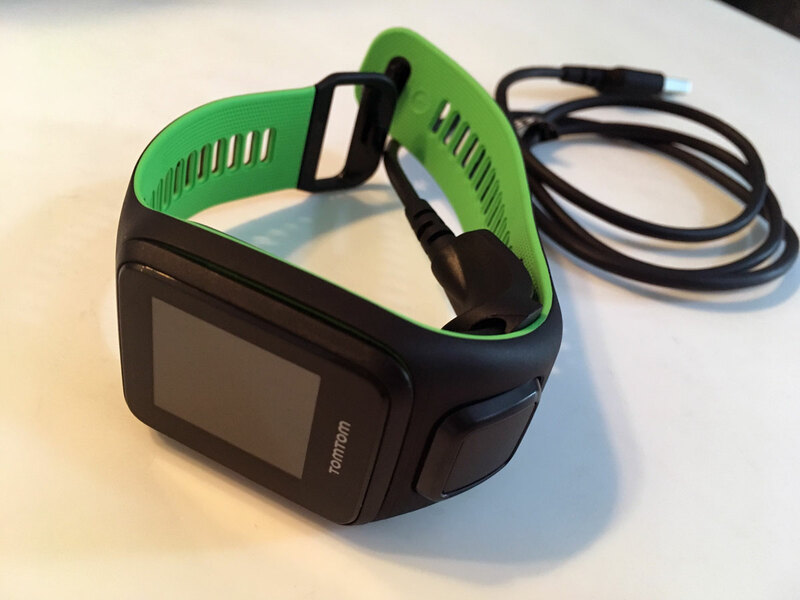 Gear Review: TomTom Runner 3 | JustRunLah! Hands-on with TomTom Runner 3 Cardio+Music. 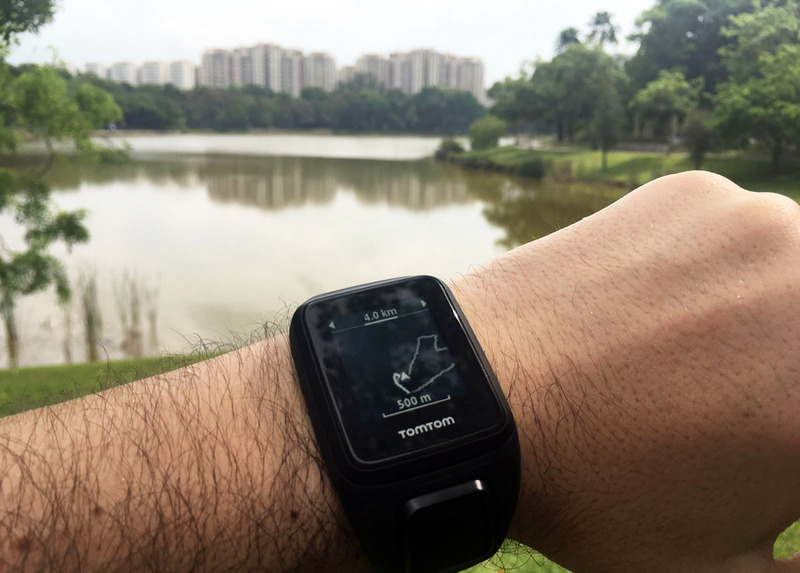 Runner 3 is the latest addition to the TomTom family of watches. The watch is less bulky than most others in the market, and its simple yet sleek design makes it suitable for everyday wear. Control of all functionalities is done by pressing the four sides of a chunky plastic pad located below the screen, which is easy enough to operate while running. The display is a 22 x 25mm monochrome LCD which is very clear to see outdoors, even on bright days. A backlight can be turned on by touching the screen. 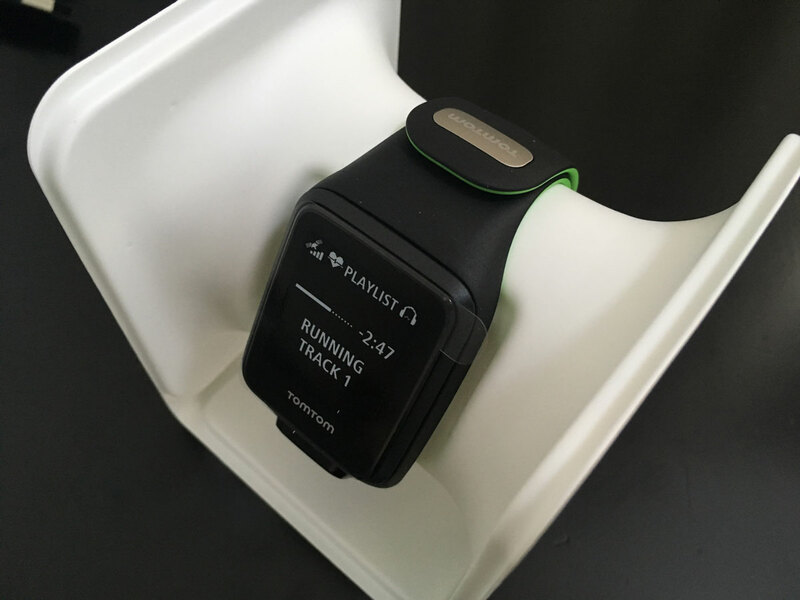 The watch can count your steps, your heart rate and sleep cycle on a 24-hour basis. 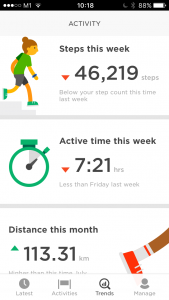 On top of that, there are a number of different activities that you can track, most of them coming with GPS support: Press ‘right’ on the pad to access and start an activity, including running, swimming, cycling, gym and freestyle. 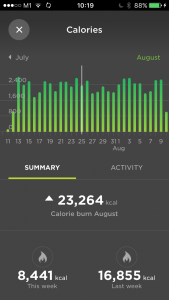 While recording an activity, there are loads of live metrics, such as calories, distance, heart rate, time and pace. The more impressive part comes from the additional screens (press ‘right’ once more) that can display a live route map, compass, heart rate zones, more. The major selling point for me was that Runner 3 comes with on-screen route tracking. This works in two modes: first, it can help you navigate a pre-determined route, which can be any of your past runs or any gpx file uploaded via mysports.tomtom.com. 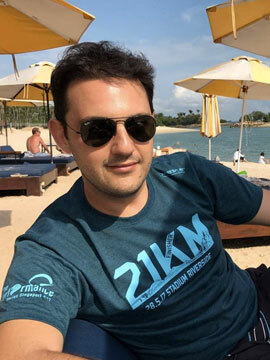 Second, as you go out for a new run, your GPS data form a map in real time allowing you to find the way back home easily. There are 3 zoom levels at the map giving you a great sense of direction. 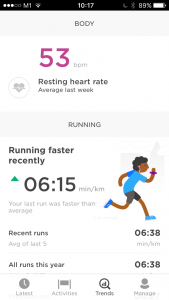 Even though that might not be crucial in your everyday run around the neighbourhood, it is definitely a good feature to have when you set out exploring new places. I really dig the routes exploration function. You can use any of your past runs or upload a gpx. 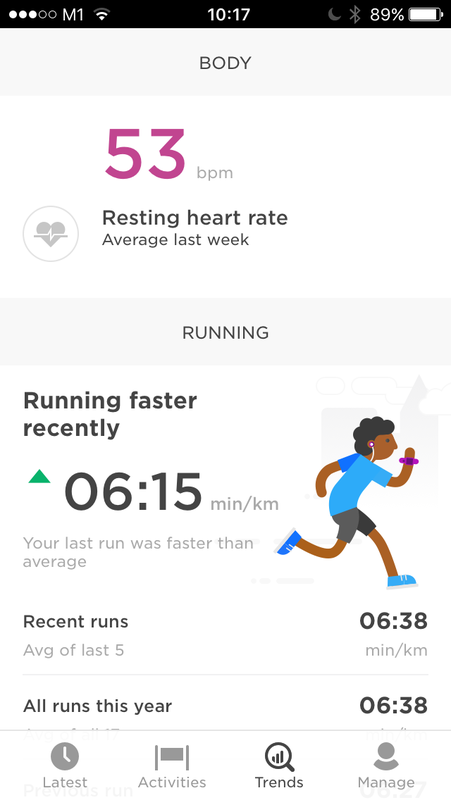 At the end of your activity, you can sync the watch with your mobile app, which also uploads the data to your web dashboard. The information is quite well organised and a handful of statistics are available. 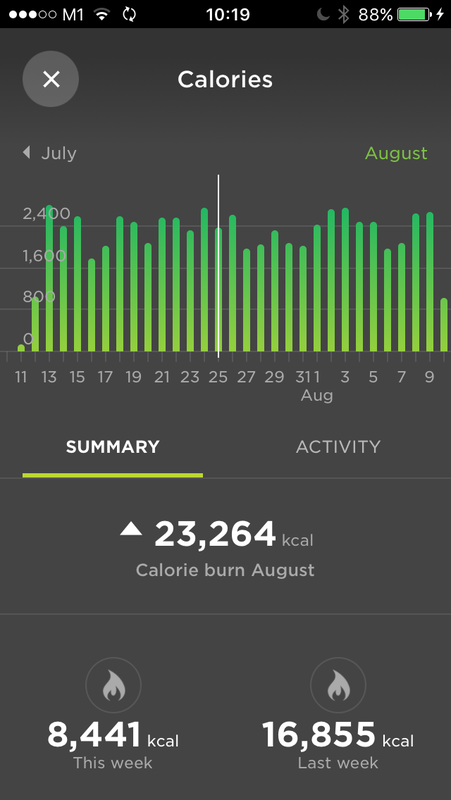 I especially enjoy the “trends” screen of the app that provides an overview of your progress in a very intuitive and user-friendly way. 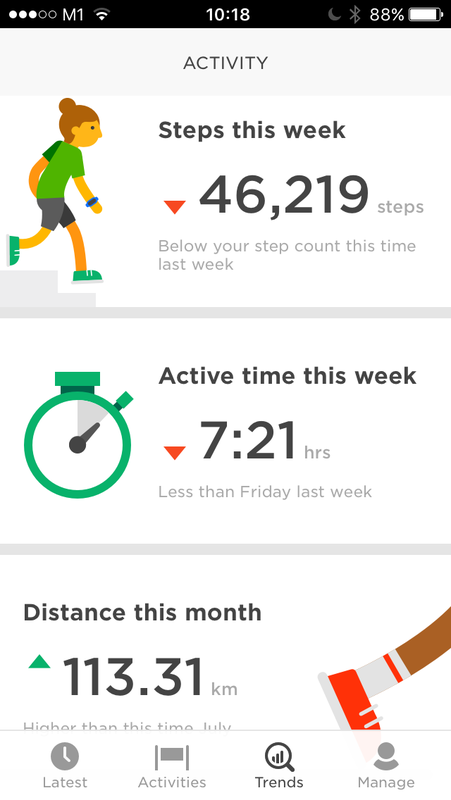 Data freaks though might need to dive into the web interface as not all metrics are accessible from the app. Via the same web interface, you can also create routes by uploading gpx files that are later downloaded and displayed on your watch screen. 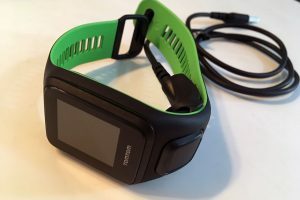 TomTom Runner 3 is compatible with a large number of bluetooth headphones. Loading music is relatively easy, however, it requires that you have already created a playlist on your iTunes (or Windows Media player). Perhaps in a future update, a drag-and-drop functionality could be added so that we can load individual songs or albums. 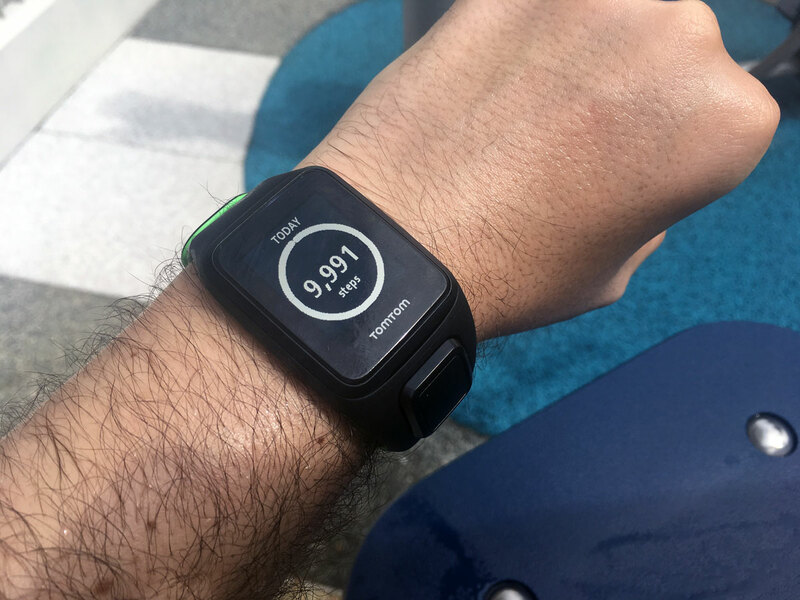 There’s 3GB of storage that can hold about 500 songs on the watch, which should be more than enough to last for a full marathon! Comes with a handy compass that automatically shows your starting point (home). 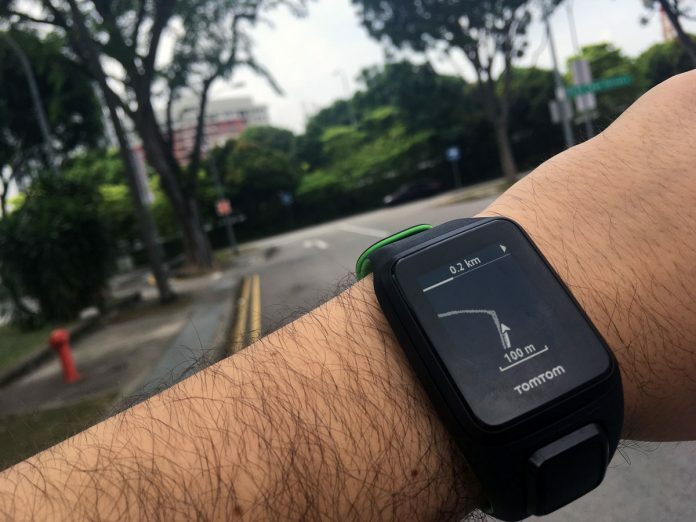 TomTom Runner 3 is a good and affordable option for those who want to keep track of their activities and monitor their progress. 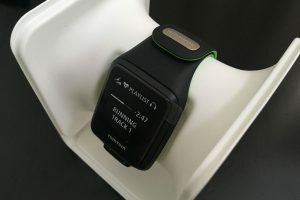 It comes with a rather accurate GPS and heart rate monitor, good battery life time and plenty of storage for music lovers. The compass and route exploration is a great add-on for the more adventurous out there, and the only thing that seems to be missing is integration with phone calls, SMS and WhatsApp. What remains to be seen is how the material will hold under heavy use over time. 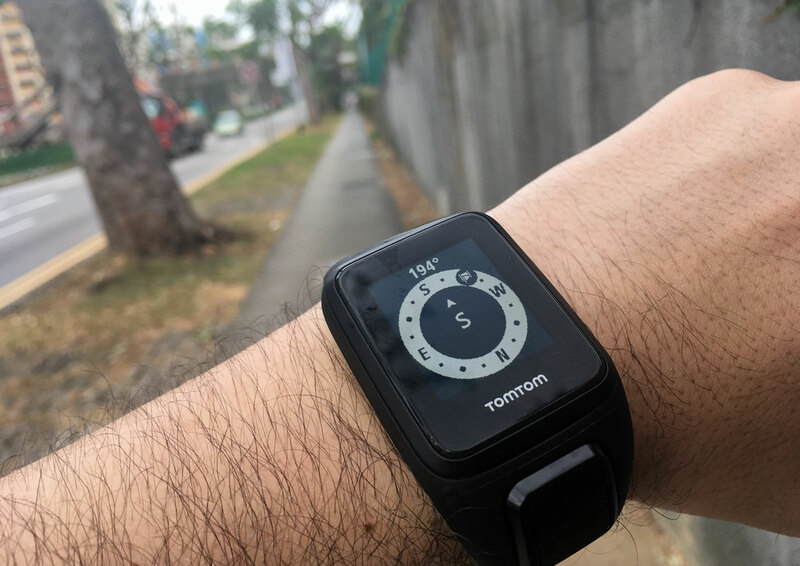 The TomTom Runner 3 Cardio and Runner 3 Cardio+Music are retailing at SGD 249 and SGD 299 respectively. Both sports watches are available on TomTom.com and at selected retailers nationwide.